Every year, Google makes hundreds of updates to the search algorithm, always testing, refining and changing its ranking factors. No SEO, Content Marketer or Digital Marketer can predict what the future of search will look like, the majority of Google employees do not even have this privilege! What we can do is monitor SERPs (a useful tool for this is: https://algoroo.com/) and see tremors when Google is brewing up a new algorithm update. As search marketers, it is important to know the dates of major Google algorithm updates, as they can explain sudden drops and jumps in organic traffic. When we take on a new digital account, the first thing we assess is whether there are any unprecedented drops in traffic that can be aligned with any major algorithmic updates. This is one of many actions that assist us in devising a suitable strategy for our client. This post highlights some of the major Google algorithm updates over the past few years and the impact that they had on search marketing. Social Signals Update (Dec 2010): Google confirmed they were now considering social signals as a ranking factor, essentially Google wanted to check if websites were sharing content socially and that audiences were willing to engage. Google Farmer and Panda Update (23 Feb 2011): This update attacked pure spam low-quality sites with thin content, sites exploiting ad-sense, etc. This was a major update which lasted for a couple of months and hit Europe in March 2011. Panda 2.4 Update (12 Aug 2011): This time, 6-9% of queries in local markets were affected. The search terms not affected were Chinese, Japanese and Korean search queries. Panda 2.5 Update (28 Sep 2011): Matt Cutts (former head of the Web Spam Team at Google) suggested that this update affected 2% of all search results. Google Freshness Update (03 Nov 2011): This was a huge update affecting 35% of all search queries. Google was clearly favouring websites with fresher content and wanted webmasters to update content on a regular basis. Panda 20 Update (27 Sep 2012): This update affected EMDs (Exact Match Domains). Overlapping the EMD update, this was a fairly major Panda update affecting 0.6% of search enquires; however, this was just a warm-up until the big EMD later in the day. Exact Match Domains (EMD) Update (27 Sep 2012): One question we hear quite often from clients with regionally operating businesses is ‘Should I buy an exact match domain such as carpetcleaninglondon.com?’. This update supposedly stopped EMD from ranking faster compared to brand name domains. All new websites were treated fair – However, we still see numerous exact match domain websites ranking highly, which can be very risky. Panda 21 Update (05 Nov 2012): It took 5.5 weeks for the Panda 21 update to roll out after the Panda 20. This update affected 1.1% of English queries. Panda 22 Update (21 Nov 2012): A general Google Panda refresh that affected 0.8% of all search queries. Phantom Update (09 May 2013): This update was completely unexpected, and it affected millions of websites, with many sites losing a significant amount of traffic. Penguin 2.0 Update (22 May 2013): This was an unknown update, but after speculation it is said to have targeted issues of page level. Knowledge Graph Update (19 July 2013): Google increased the amount of SERP results showing Knowledge Graph (KG) entries within the SERPs. It was reported 25% of all searches would include Knowledge Graphs. Fresh Content Update (06 Aug 2013): “Content is king!” Within 24 hours of this update, you heard every marketer screaming this at conferences, expos, webinars, meetings… ‘yawn’, well you get the picture. Google wanted users to offer fresh, quality content. Hummingbird Update (20 Aug 2013): This update saw huge improvements in semantic search and knowledge graphs. Users could now enter questions into a Google search and get answers back. Panda 4.0 Update (19 May 2014): This was a real challenge for Digital Marketers. Approximately 7.5% of English language queries were affected by this update – this update was a big one! Pigeon Update (24 Jul 2014): Affecting mainly local search, this update also had a big impact on SEO agencies and businesses. 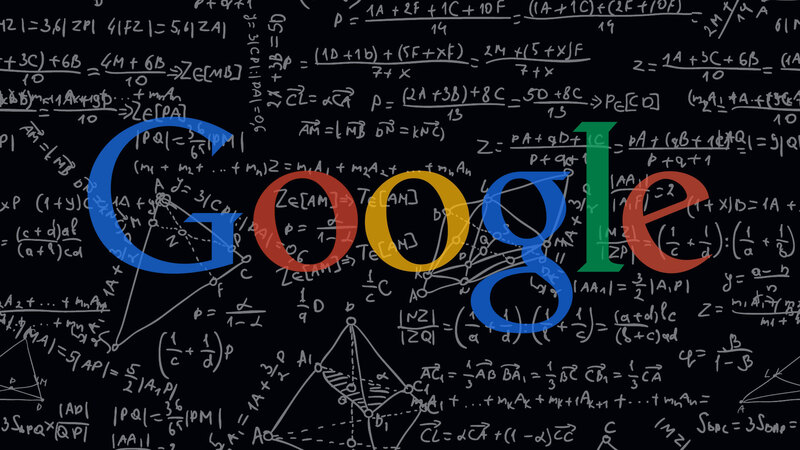 It improved Google’s distance and location ranking parameters in the algorithm. HTTPS/SSL Update (06 Aug 2014): Google suggested it would provide a slight boost for secure websites with an encryption lock, SSL. Panda 4.1 Update (23 Sep 2014): This update was targeted more towards the small and medium size sites, in total it affected 3-5% of search queries depending on the location. Penguin 3.0 Update (17 Oct 2014): 3.0 suggests it would be a big update! However, this update was not as big as expected and only affected <1% of US/English queries. Google Pirate 2.0 Update (21 Oct 2014): Launched two years after the original DMCA/Pirate update. This update was going after websites offering pirated digital software, dozens of popular torrent sites were hit such as ISOHUNT and Pirate Bay – completely wiped from organic search returns like they were never there. Websites like this rely on Google, but within a click of a mouse they can disappear from the SERPS. Mobile-Friendly Mobilegeddon Update (21 April 2015): The main reason for this update was to increase rankings for mobile-friendly websites for users when searching on their mobile devices. Panda 4.2 Update (17 July 2015): After a ten month wait, Google finally released Panda 4.2. Google said the update impacted 2 to 3% of English language search queries. Rank Brain Update (26 Oct 2015): Google revealed artificial intelligence would be used to offer users the best results. The machine learning technology was running months before the update and is now seen as a search ranking factor. Google Core Update Unnamed (08 Jan 2016): Many marketers believed this was a Penguin update because of the huge fluctuations for both desktop and mobile queries, but they were wrong. This was a national update affecting a range of queries. AdWords Update (23 Feb 2016): This update affected paid campaigns and organic CTRs. Right column ads were completely removed with four paid ads showing at the top of SERPs. Possum Update (1 Sep 2016): There were huge drops and drastic fluctuations in local rankings. Google did not confirm this update, so webmasters could only presume. Penguin 4.0 (Real-time) Update (23 Sep 2016): The most anticipated update, Google finally rolled out Penguin in real time. Google suggested it would be incorporated into their ‘main algorithm’. They also suggested it would be ‘granular’, implying that the algorithm will affect individual pages and not the root domain. Possum: The Google Possum update was focused on the local algorithm. This update targeted spammy local business listings and looked to devalue them. Duplicate GMB’s (Google My Business) were getting hit and businesses sharing the same mailboxes were affected. The physical location of searchers was also considered in search results; for example, searchers in different locations may have seen completely different results for identical search terms. This made it important to have the right location filters when tracking rankings. Penguin: This update focused on de-rankings sites with unnatural link profiles, deemed to be spamming the search results by using manipulative link tactics. Therefore, it is important to have a diverse backlink profile and you don’t over-optimise with exact match anchors; your backlink profile should look natural. Pigeon: Google ‘freed’ the Google Pigeon update and it came to be something of a nuisance! The Pigeon update focused on creating closer ties between the local algorithm and core algorithm. Google looked at NAP, citations, schema mark-up, image geo-tagging and looked if everything connected thus pushing local rankings. Pirate: The pirate update focused on combating online piracy. Any sites infringing copyright, as filled through Google’s DMCA system were penalised. Hummingbird: The Google Hummingbird update focused on interpreting search queries, (questions and conversations) and providing users with content that matched the search intent. Is your website affected by the latest Panda update? As the leading SEO agency in Leicester, we have a team of SEO specialists who are here to help. Get in touch and find out how we can help your website dominate the SERPs.